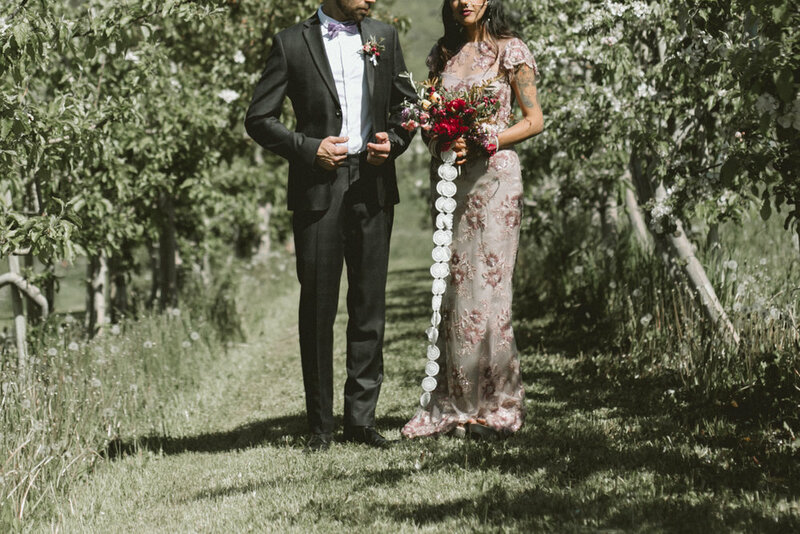 Sonia, the innovative maker of Woodlot Candles, wanted to honour her Indian heritage with jewel toned floral for her Naramata winery wedding. We chose Red Charm peony, Quince and Crabapple blossom, offset them with warm spring tulips and golden bracken fern, and rounded out the palette with armfuls of foraged lilac. Serendipity Winery offered a stunning backdrop; hills full of sage sloping down to the sparkling blue of Okanagan Lake, and an earthy terracotta exterior which fit their aesthetic perfectly.